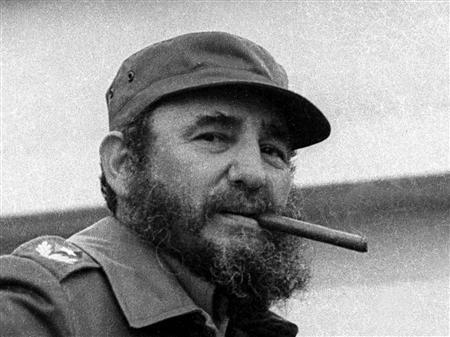 Some people say that Fidel Castro’s brutal, nasty, oppressive dictatorship is justified due to his rejection of capitalism. Unfortunately, Fidel’s dictatorship is a good example of the true effects of socialism. Firstly, we must address this fallacy that living conditions under Bautista were bad. Under Bautista, despite his oppression, Cuba was the richest and most successful country in Latin America. Cuba’s economy was growing rapidly fuelled by the sugar trade with the US. By the 1950’s Cuba was as rich per capita as Italy and was even richer than Japan. Its income per capita in 1929 was 41% of the United States; this was higher than in states such as Mississippi and South Carolina. Despite corruption and wealth inequality, Cuban industrial workers’ wages were rising significantly. Cuba was on the upswing. Cuba also had a relatively high standard of living before Castro. Cuba, before the revolution, was developing, but it was still quite prosperous. It ranked third in Latin America in doctors and dentists and daily calorie consumption per capita. Its infant-mortality rate was the lowest in the region and the 13th lowest in the world. Cubans were extremely literate compared to other Latins and enjoyed a prosperous private civic, charitable and personal life. The economic and social effects of Castro’s socialist policies were disastrous. Firstly, there was a huge loss of freedom. It is important to note that a loss of freedom is a direct consequence of socialism. This has happened in all socialist regimes around the world, including in Soviet Union, the Warsaw Pact countries and Venezuela, so it is clear that the “socialist” aspect of his rule and the “oppressive” aspect of his rule are inextricably linked. Anyone who says otherwise is delusional. As a result of this chronic loss of freedom and justice, several thousands died in dingy boats in the ocean trying to reach Florida. Between 1950 and 1992 it is estimated that at least 2 million Cubans fled, about 20% of its total population. Castro’s economic policies were not exactly successful either. The average GDP per capita of Cuba (the amount of wealth the average person has) when Castro took over was $10,000. Now, after 40 years of potential growth and development, the GDP per capita is only $10,200! Compare that to the United States, whose GDP per capita increased from $17,000 in 1960 to $51,000 in 2015! Currently, the monthly income of the average citizen is around $20; the food rations provided by the state are minimal and inadequate. Castro also ruined the thriving agricultural industry by collectivising farms. Cuba’s export growth in the past 50 years have been lower than Haiti’s. Granted, this is partly down to the sanctions imposed on them by the United States, but Cuba has the rest of the world to trade with, so American sanctions are really no excuse for their economic troubles. There is also this strange fallacy that the single payer healthcare system has somehow been a success. This could not be further from the truth. In Cuba there is not one healthcare system. There are two. The first is for foreigners who come to Cuba specifically for “healthcare tourism”. These foreigners help keep the regime afloat by paying in hard cash. The healthcare provided for them is top-notch. Then there is the system which normal folk use. This system is very bad. Hospitals and doctors clinics are crumbling. Conditions are extremely unsanitary. There is a chronic shortage of doctors. If someone is hospitalised, the healthcare system is in such a bad shape that the patient has to bring their own bed sheets, soap, towels, food, light bulbs, and sometimes even toilet paper along with them. To find basic medicines like aspirin on the shelves are difficult. On the black market these medicines can sell for extortionate amounts of money. Because of this poor healthcare system deadly diseases are making comeback: these include dengue and tuberculosis. There is also another fallacy that because the Infant Mortality Rate (IMR) is low, then the healthcare system must be a model that we need to imitate. The Cuban regime knows that the main method of judging the success of a country’s healthcare system is how good their IMR is. The government, therefore, tries to create an image that the Cuban healthcare system is actually good by paying careful attention to the pregnant women, to lower the Infant Mortality Rate. Cuban doctors are told to pay special attention to pre-natal care: pregnancies are monitored more closely than usual. Abortions are strongly encouraged for any babies that might have any sort of disability, developmental disorder or complication at birth. As Dr Jose Marti, a Cuban doctor says, “Abortion is very common in Cuba, since they are promoted by the State through the media, the school system and the health care system, all of which are controlled by the State.” Therefore, it is clear that the low Cuban Infant Mortality Rate does not reflect the true state of the Cuban Healthcare system. Summed up, Cuba is a disaster. The only reason Cuba survived this long was by depending on first the Soviet Union, who flooded it with aid and arms, and then, after the USSR collapsed, on oil from Chavez’s Venezuela! It is astounding how progressives, like Bernie Sanders, can look at Cuba as a good example of how to run a country. The healthcare system, which progressives often praise, is actually very bad. The literacy rate was good before Castro came to power: it was not a consequence of socialist policies! The island, that was once a prosperous developing nation, was impoverished fiscally by Castro, and most importantly, it was impoverished of freedom and justice.